Original Sin seems to know no bounds as far as its personal impact on the characters inside the Marvel Universe. The newest Nova, Sam Alexander, is a teenager that discovers the truth behind the grim tales regarding his father. Rocket Raccoon lends a helping hand, but both find themselves in a poisonous situation and time is running out. Fans of the Guardians of the Galaxy film will enjoy this because it, to it’s benefit, inadvertently expands on some of the elements in the cosmic universe that were glossed over. I absolutely love how Rocket and Sam work off each other. It’s kind of a student-teacher relationship so the dynamic is different as opposed to the interactions between Rocket and Groot. A lot of team up books are simply meant to draw in more money and often have little substance. The history between Rocket and Nova is enough on it’s own to justify the pairing. However, Sam is fighting two battles as he fights to stay alive while dealing with the emotional fallout that Jesse, his father, is a murderer. Sam really needs help this time around and Rocket fits the bill on every level. The clear and well defined art of David Balldeon and Terry Pallot, coupled with the colors of David Curiel, complements the witting and makes it just a beautiful book to look at. 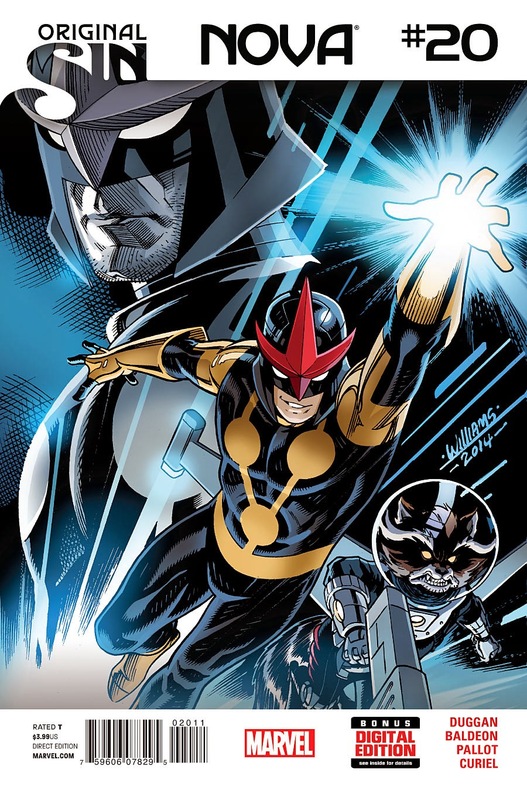 In my opinion, Nova is one of the unsung heroes of Marvel’s comic book line-up. It’s consistently entertaining while exceeding expectations, and often well reviewed, but it tends gets lost in the shuffle of the A list character books. Hopefully, the success of Marvel Studios latest movie will help to change that.